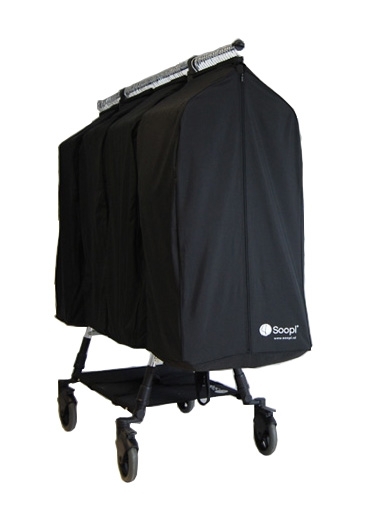 The Soopl garment bag is cleverly designed to fit the Soopl Fashion Trolley. Used in all retail environments. Waterproof. 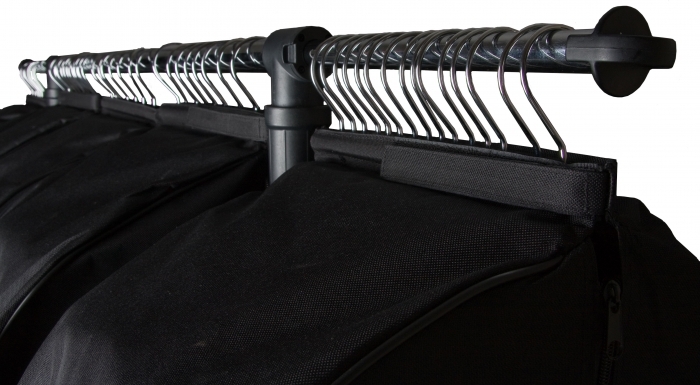 Soopl Garment Bags are the ideal way to protect your garments either in transit or for storage. Each bag is fitted with a handy velcro fastener which keeps the hangers in place. The bags are sold individually (Price is for 1 garment bag - images are for illustration only) and are available in: Small, Medium and Large sizes. 100cm (L) 48cm (W) 40cm (Depth). Max 4 bags on one rack. Please allow 5-7 days for delivery. Smaller than expected but that is not the products fault. Top closure may prove weak point versus previously used bags but time will tell.